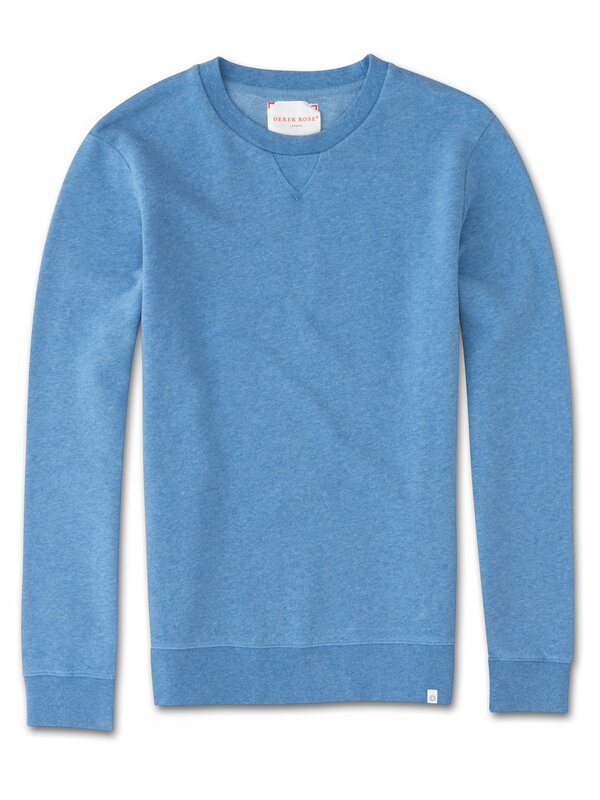 Made to be worn for sport, leisure and downtime, our men's Devon 2 crew-neck sweatshirt in pastel blue is ideal for pairing with our micro modal t-shirts and matching sweat shorts for a stylish and comfortable outfit. Part of our leisurewear range, we have designed garments that embody our philosophy of 'Smart Comfort'; combining sumptuous fabrics with modern styling and considered details, thereby creating garments that are practicable for both the gym and sport, as well as for off-duty wear. Made with high quality, carbon-brushed loopback cotton for a truly luxurious handle, small innovative touches such as an extra soft neckband and cuffs and a curved back yoke elevate the Devon 2 sweatshirt into the sport-luxe category. For a further touch of innovation, a concealed zipped side pocket allows you to safely carry your phone, gym card or keys while you're on the go.